After a record-breaking run of sales in 2018, the Melbourne office investment market has started 2019 in a more restrained fashion, as transaction volumes dipped for the first quarter in the sub $150 million bracket of the sector. 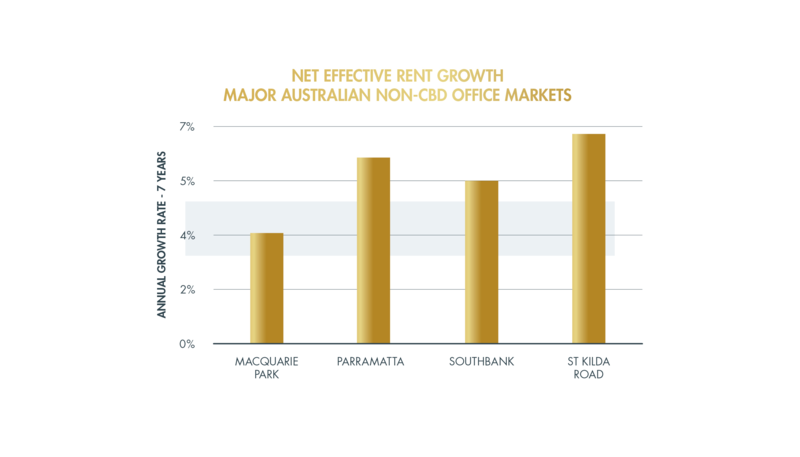 But it hasn’t been for lack of demand, as CBRE investor surveys reveal a major depth of appetite for further exposure to the Melbourne office market, both from private groups but also institutions. 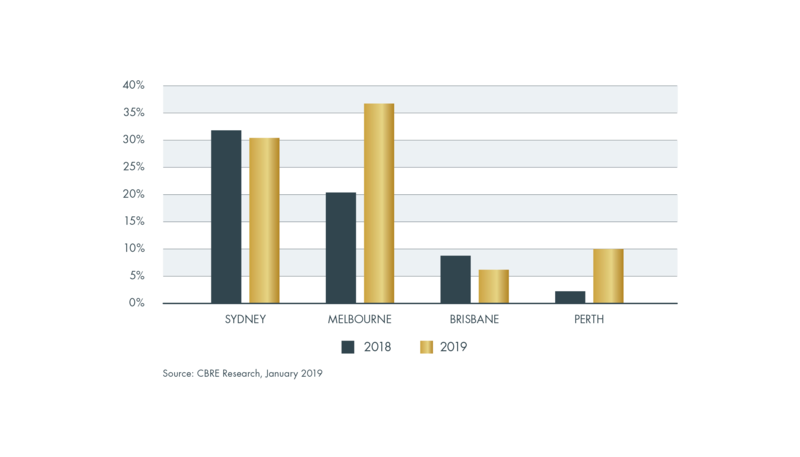 CBRE’s Australian Market Outlook event in Sydney on Thursday revealed that, whilst net effective rental growth across the Asia Pacific had been strong, most markets other than Melbourne and Canberra were predicted to experience a slowdown. This has seen investor demand for Melbourne office assets, both in the CBD and suburban markets, reach new benchmark levels and several pricing records eclipsed. It is understood that one of the first major office investment offerings of the year at 122-130 Wellington Parade in East Melbourne, attracted 13 offers with several high profile domestic and international groups still in the running. The campaign is being handled by CBRE Melbourne Middle Markets and pricing is expected to be well in excess of $35 million or less than a 5% yield. Larger institutional players have also made their intentions known, with Charter Hall, CBUS and Dexus all making major site acquisitions in the Melbourne CBD for commercial office development. All of these projects are factoring major rental uplift in Melbourne over the next 24 months, which would Property Council of Australia figures show that Melbourne is set to deliver almost half of the country’s office space in the next 3 years, and whilst a large portion is pre-committed by tenants, tenants, some question marks remain on the take up of backfill or B-grade space once these developments are completed. 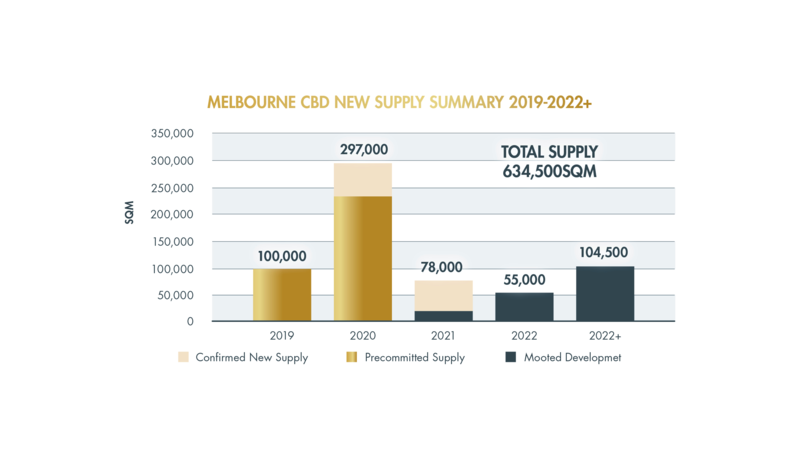 “The amount of projected office supply as a whole number may be impressive, but when you consider that office development has been stunted in Melbourne for almost 10 years due to the proliferation of residential development to cater for population growth, it is clear to see that Melbourne is playing catch up in the commercial sphere” Mr Rutman said. Similar to other markets in Melbourne, following a lean spell of transactions in St Kilda Road (just three in 2018), the famous boulevard is starting to see a buzz of activity as the Melbourne CBD continues to tighten up and tenants look to the fringes of the city for more affordable accommodation. This has seen vacancy decline and rents increase significantly in the past 36 months. 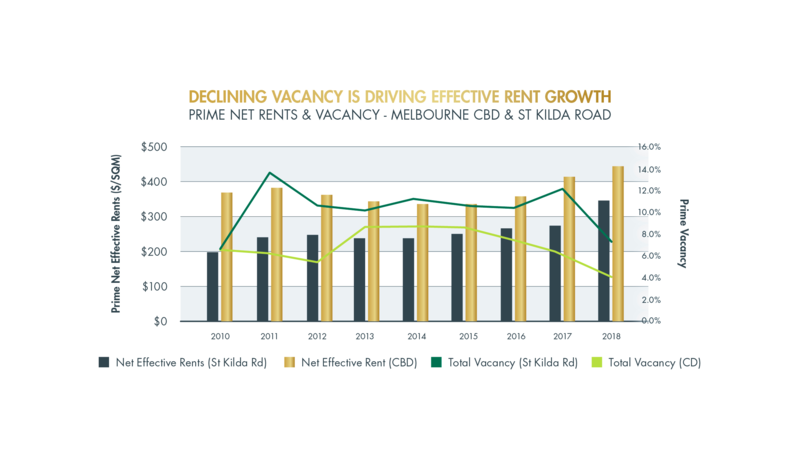 Transaction numbers were reasonably slim in St Kilda Road in 2018, but the metrics of each deal and the depth of offers demonstrated that buyers are confident in the tenant markets for this precinct for the foreseeable future. The positive signals for the precinct have seen two major owners put their assets on the market early in 2019, with 420 St Kilda Road being offered by KKR and Vantage Property Investments, and the neighbouring Illoura Plaza office building at 424-426 St Kilda Road also up for grabs. In a sign of the strength of the market and the lack of available purchase options, fund through and other structured transactions are also becoming more commonplace as developers look for certainty on pricing and investor confidence grows in the office sector. Developer Cedar Woods has sold several recent office developments in Williams Landing to end purchasers who will hold the real estate investment upon completion, and this was also recently seen at 600 Church Street, Cremorne where Icon Construction sold an off-the-plan office building to Bayley Stuart for around $50 million. Pellicano Group offloaded an office building in Ringwood to a Macau-based investor in a transaction handled by CBRE for around $28,000,000 and it is understood that Alfasi’s development at 510 Church Street, Cremorne which is now in the early stages of construction, is being offered quietly to investors for a 50% share of the completed office building.